Pembrokeshire is now my home and I have painted more pictures here than anywhere, both landscapes and seascapes. 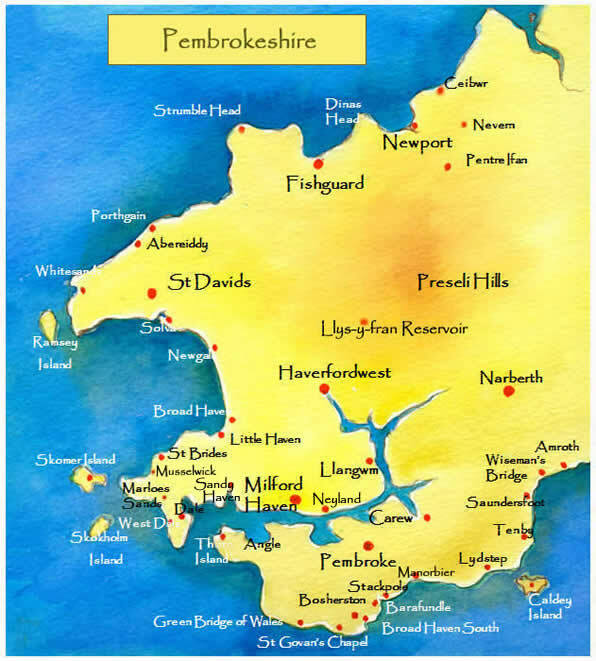 From the wonderful Pembrokeshire Coast Path with its spectacular cliffs, beaches and harbours, such as Tenby, to the magical Preseli Hills and County towns of Haverfordwest, Pembroke and Narberth, the variety is endless. I live and work in Dale Village. See Books section for information on my book 'An Artist's View of Pembrokeshire'.